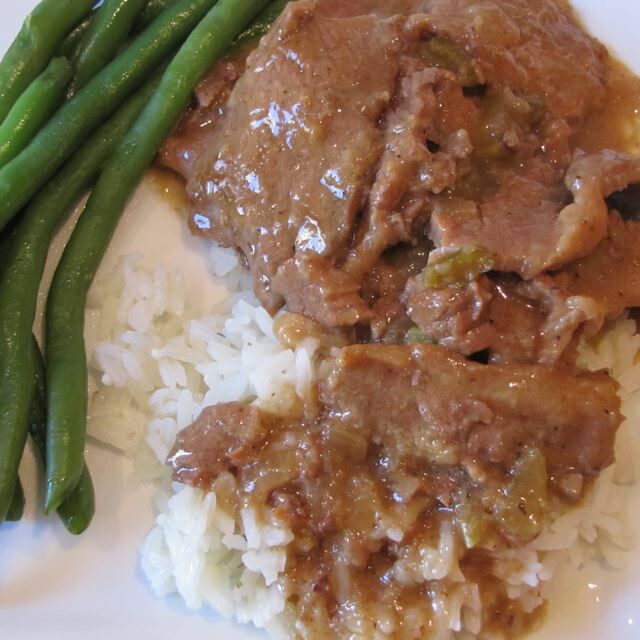 Slow cooked Swiss Steak is a comfort dish. I also love to make this for friends who have had surgery or a new baby. It has a few steps to get it into the crock-pot, but it is worth the effort and the meat is tender and just falls apart. The flavors are good. I like to serve mine with garlic seasoned rice and green beans. In a shallow bowl, combine flour, pepper and salt. Dredge the slices of beef in the flour mixture. Preheat a skillet to medium high heat and add the oil and butter. Pan fry each piece of beef in the butter mixture, about 2 minutes on each side and put in the crock-pot. Combine the remaining ingredients in a large bowl and pour the mixture over the browned steak. 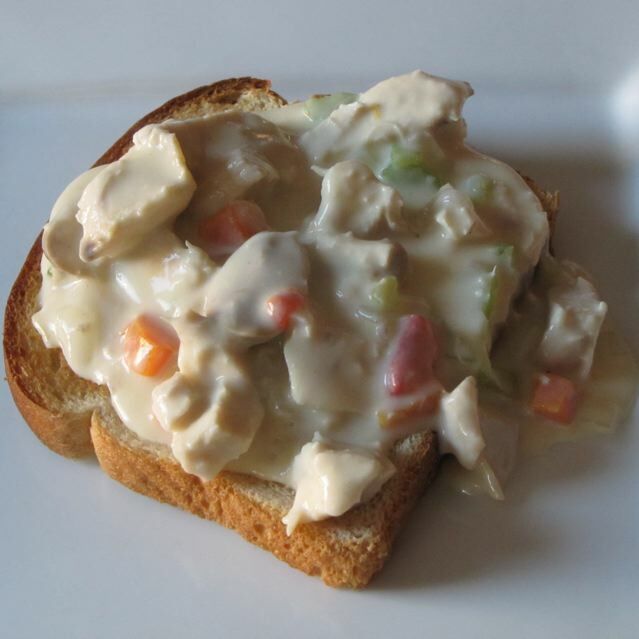 Turn the crock pot on to low, cover and cook for 8-9 hours. For the garlic seasoned rice: I bring 2 cups of water to a boil. Add 1 Tbsp garlic seasoning, 1 tsp butter, 1 tsp salt. Add one cup of Jasmine rice. Bring to a boil again. Stir. Reduce heat to low. Cover and cook for 15 minutes. Then turn off heat and let sit another 15 minutes. Categories: Main Dish, Main Dish - Beef, Method: Crock-pot | Permalink.